Alaska senators are weighing making the first change since the early 1980s in the formula for calculating permanent fund dividends. They’re also considering a new proposal to limit how much the state government spends. Changing dividends or spending will have major implications for the future of the state. Lawmakers are also finding it may be a political challenge to make the changes. Alaska’s state government has a math problem. The formula in state law for setting dividends is based on how much the permanent fund grows. If it grows a lot, the dividends are supposed to be big. Like this year, when the formula said they should be about $3,000. But the Legislature also passed a different law last year that limits how much can be drawn from the earnings account of the $65.8 billion permanent fund. Lawmakers said when they passed the law that they wanted to use much of this draw to stabilize the state budget. But the two laws may not work well together. So the Senate Finance Committee is considering Senate Bill 103, which would divide the draw. 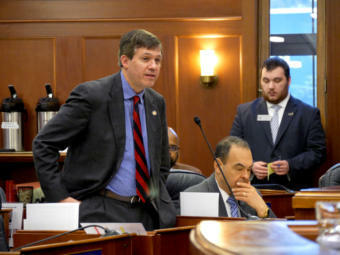 Bert Stedman is a Sitka Republican who co-chairs the Senate Finance Committee. “We need to synchronize how the dividend is calculated with the percent that is taken out of the portfolio,” he said. Stedman said at a committee meeting on Wednesday that he likes a 50-50 split — half going to dividends, half to government. That way people will know exactly what they’re owed. But a 50-50 split also causes a problem. It would leave an $861 million gap between the amount the state is currently spending and the money it would have available from fund earnings, as well as other sources like oil taxes and royalties. 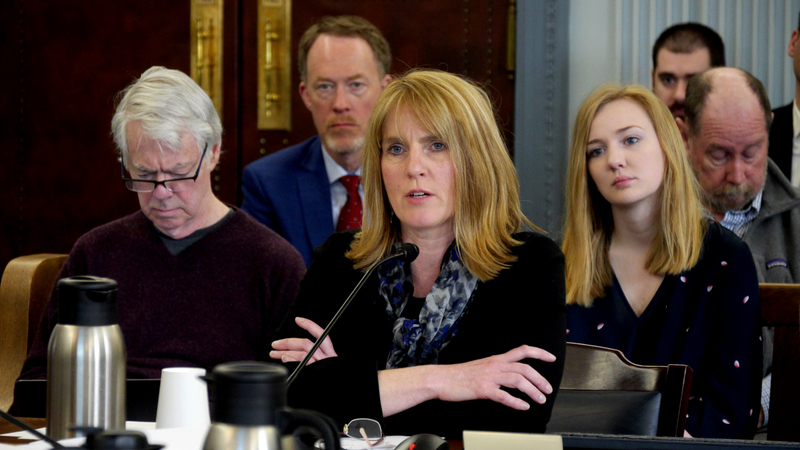 Anchorage Republican Sen. Natasha von Imhof, the other committee co-chair, said the share of the permanent fund draw going to dividends could be less than half. This would allow the state to maintain funding for services, like schools. “It is important to find the balance by which we can honor the (state) constitution, by providing significant resources to both the individual as well as to our community, collective obligations,” she said. Von Imhof said infrastructure maintenance and the state’s obligation to pay public employee pensions must be weighed, alongside other areas where spending has varied in the past. The committee has a second measure, Senate Bill 104, that would limit the portion of the state budget directly controlled by the Legislature to $5 billion, and allow it to grow at the rate of inflation. Von Imhof said the combination of splitting the draw and limiting spending would allow PFDs to grow over time. 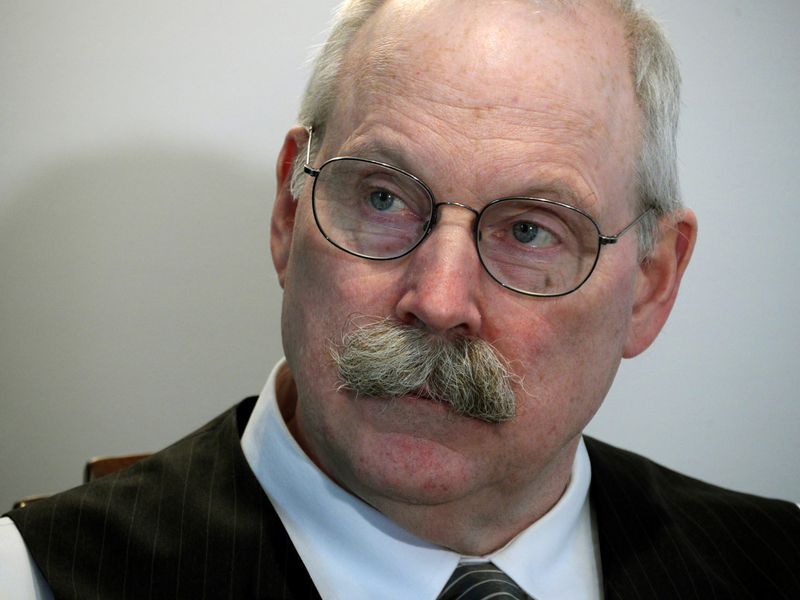 Some committee members prefer to set a limit to spending in the Alaska Constitution, like Gov. Mike Dunleavy has proposed, rather than to set a limit in law. 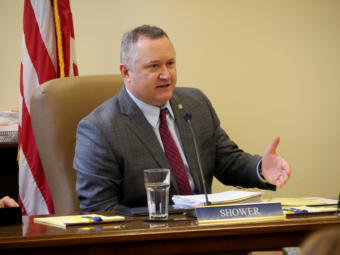 Sen. Mike Shower, a Wasilla Republican, noted that the Legislature has chosen when to follow certain statutes. The state hasn’t followed the legal dividend formula the last three years. “We have shown a propensity in this building to not follow the statutes that we don’t like,” Shower said. The state Supreme Court has found that the Legislature’s authority to set the budget each year allows it to set PFDs at a different level than the law. Both Stedman and von Imhof say passing constitutional amendments would be more difficult. They require two-thirds of both chambers to agree, rather than a bare majority for laws. Sen. David Wilson, also a Wasilla Republican, said he’s concerned the bill to change the PFD formula said the Legislature “may” spend half of the draw on dividends, rather than saying it “shall” spend at that level. “I’m just more in favor of the stronger language to help … the 59 other of my colleagues, to make sure that we follow these rules,” he said. Von Imhof said using the word “shall” would violate the state constitution’s prohibition on dedicating revenue toward specific funds. And Anchorage Democratic Sen. Bill Wielechowski rejected making a choice between PFDs and spending. He wants to reduce or eliminate oil production tax credits. Industry advocates have said the tax credits are an integral part of the state’s oil tax system. Wielechowski’s proposal to repeal the credits, Senate Bill 14, hasn’t been scheduled for a hearing. Stedman and von Imhof said they want to reshape the bills to split permanent fund draw and limit spending in the coming weeks, with a goal of passing them this year.